In 1972, Charles Manson, the psychotic California cult leader whose exhortations to his followers resulted in the killing of seven people, was reprieved from execution when the California Supreme Court outlawed the death penalty. In 1969, Manson instructed four of his followers to go to 10050 Cielo Drive in Los Angeles and kill the people inside. This house once belonged to Terry Melcher – a man who, a few years earlier, had rebuffed Manson’s advances when the cult leader asked Melcher for help with establishing a music career. Melcher, however, no longer lived at the address; Sharon Tate and her husband, director Roman Polanski, had rented the house. On August 9, four of Manson’s followers entered the house and brutally murdered its occupants, viciously and repeatedly stabbing the pregnant Tate and four others who were visiting her (Polanski was in Europe for work). The following night, Manson’s followers killed Leno and Rosemary LaBianca in their home. Police spent months trying to unravel the tangle of leads to determine who was responsible. Finally, in December 1969, Manson and several of his followers were arrested. The trial began on July 24, 1970, lasting nearly six months. Finally, on January 25, 1971, Manson was found guilty of first-degree murder and conspiracy to commit murder. On March 29, 1971, Manson was sentenced to death. The, in 1972, the case of The People of the State of California v. Robert Page Anderson resulted in the landmark ruling outlawing the use of capital punishment in California. The court ruled that the ancient practice was considered constitutionally impermissible “cruel and unusual punishment.” In the opinion of the court, the penalty is “unnecessary to any legitimate goal of the state and [is] incompatible with the dignity of man and the judicial process.” The court handed down its decision on April 24, 1972. The Anderson decision caused all capital sentences in the state of California to be commuted to life in prison. Manson and his followers thus avoided execution, because the court ruled that, for any person ever charged with a murder committed in California before 1972, the death penalty could not be imposed. Incensed, the people of California mounted a counter offensive against the court’s ruling with what became known as Proposition 17, an effort to amend the constitution of California in order to overturn the decision. Approved by voters on November 7, 1972, it re-established the legitimacy of court-ordered executions. Despite the reinstitution of the death penalty, no executions were carried out in the state until 1992, due to the U.S. Supreme Court decision, also in 1972, in Furman vs. Georgia, which temporarily suspended capital punishment in the United States, a decision that was followed by extensive litigation. Charles Manson still serves his life sentence in California’s Corcoran Prison. 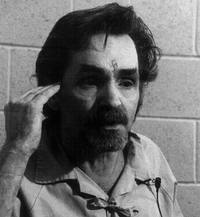 Charles Manson has received more mail than any other prisoner in the U.S.